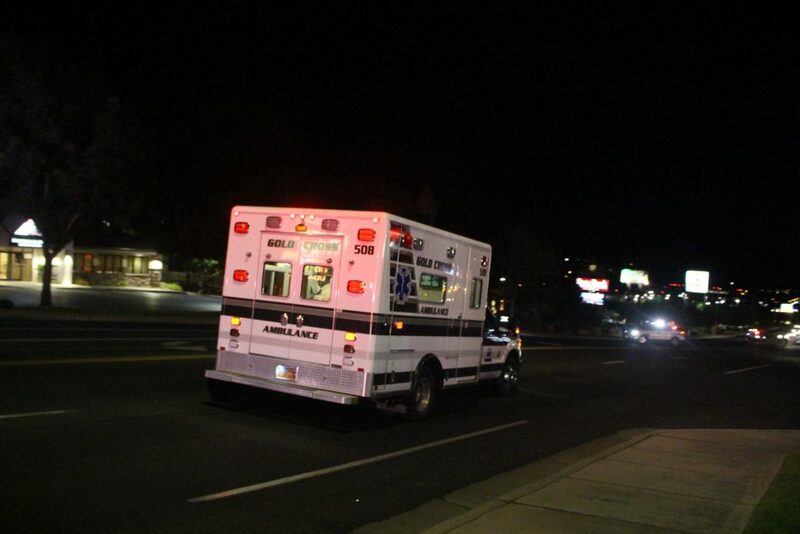 ST. GEORGE — One person was injured in a collision on River Road Friday night after a driver failed to yield on a left turn, police said. 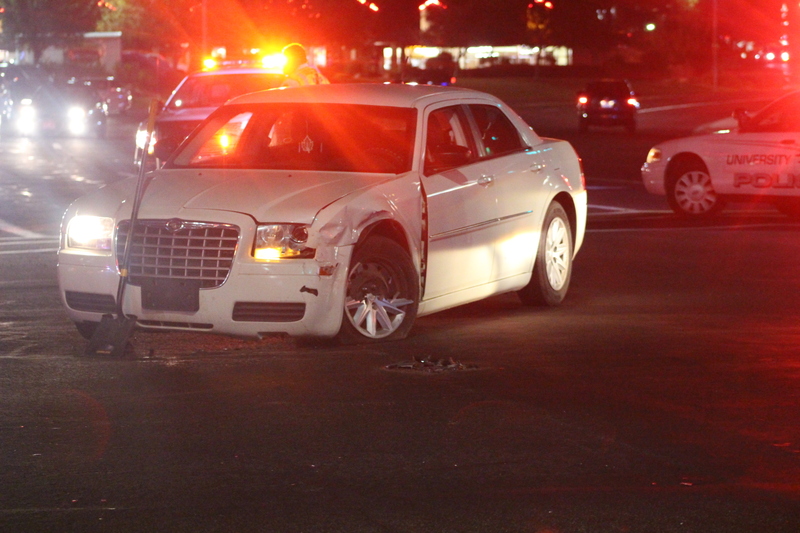 St. George Police responded to the incident at the intersection of 100 South and River Road approximately 8 p.m.
“We had a red Cadillac that was going north on River Road and attempting to make a left-hand turn onto 100 South,” St. George Police Sgt. Choli Ence said. 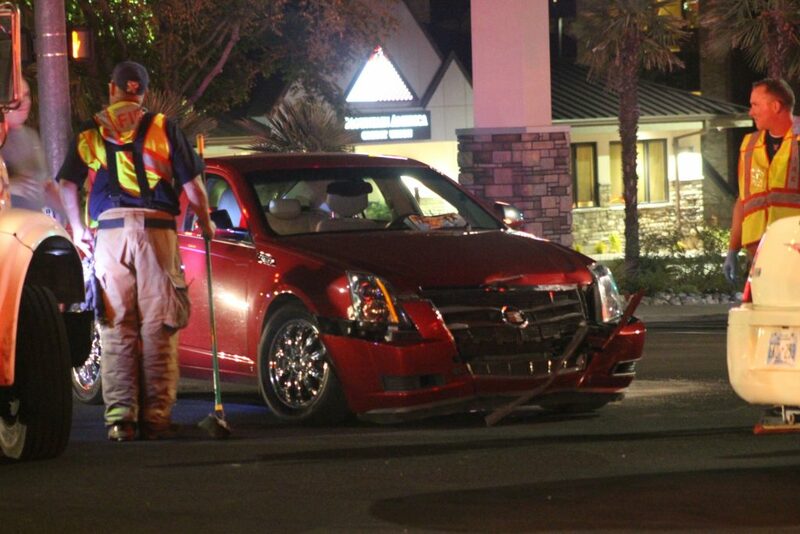 Upon making the left turn, Ence said, the driver of the Cadillac collided with a white passenger car that was southbound through the intersection. The passenger of the white car sustained minor injuries in the crash and was transported to Dixie Regional Medical Center by Gold Cross Ambulance. 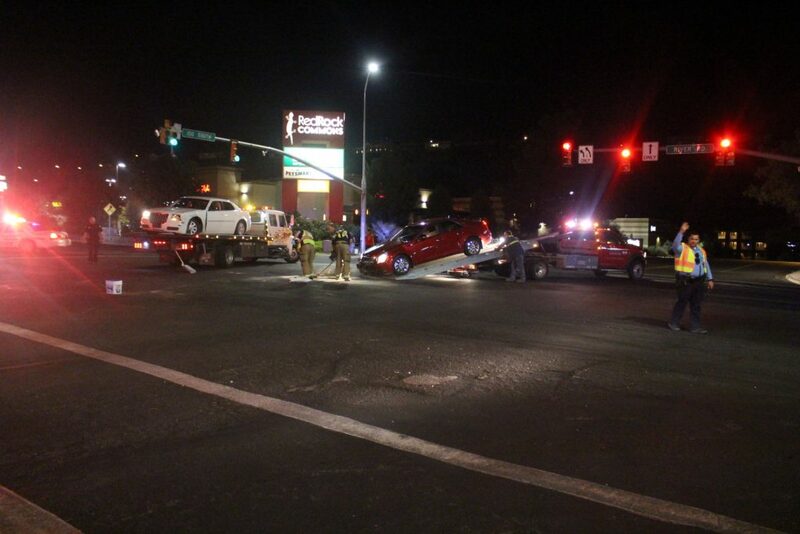 No other injuries were reported, and everyone involved was wearing their seat belts, Ence said. The Cadillac driver was cited for failure to yield, Ence said, noting that the driver of the white car had the right-of-way. 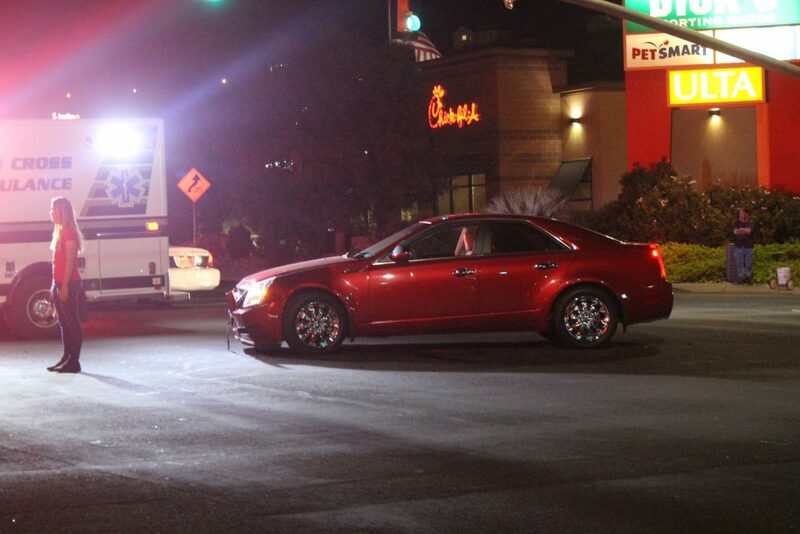 Both cars were inoperable following the crash and had to be towed from the scene. 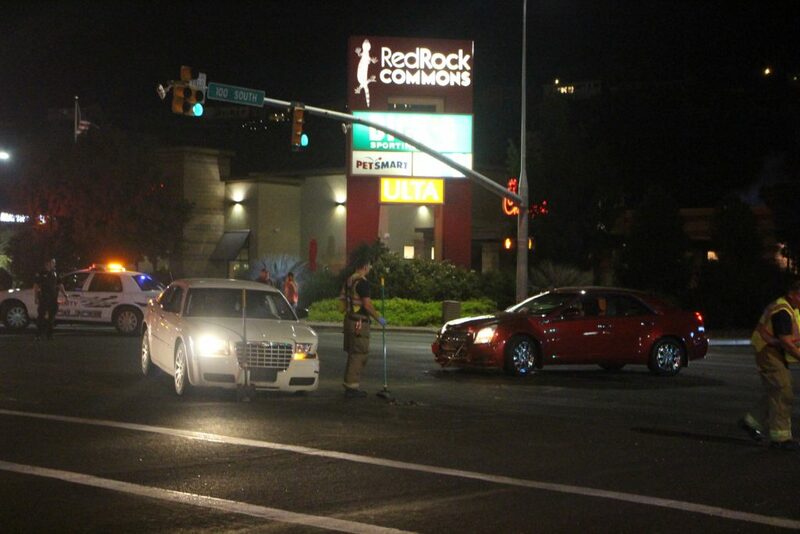 As emergency personnel worked to clear the scene, traffic was diverted north and south through the intersection, causing some side roads to experience minor traffic backup. 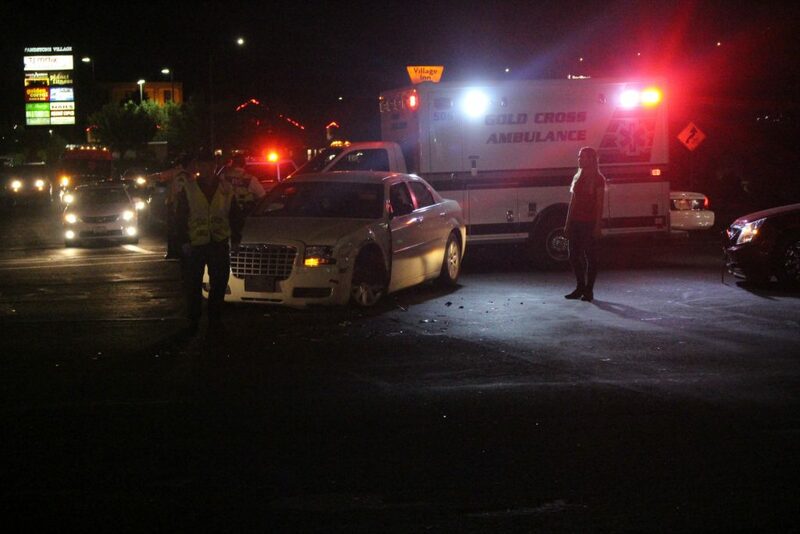 Responders from the St. George Fire Department assisted with traffic and cleanup duties at the scene. Same manure, different flies. St George, home of impatient, stupid drivers. Wow, they let you out?